Your home is the most important asset you have so when you are thinking about an electrical upgrade, additions or if you are having electrical problems, get yourself a professional electrician who knows what you need! 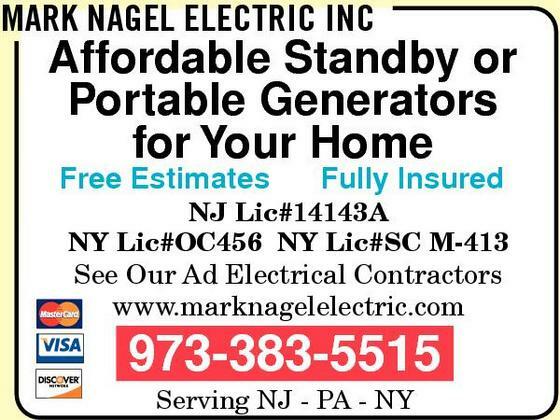 Mark Nagel Electric, Co., Inc. is family owned and operated. Mark Nagel has over 25 years of experience. We service mostly Sussex, Warren and Morris County in NJ. (Lic.#14143A). 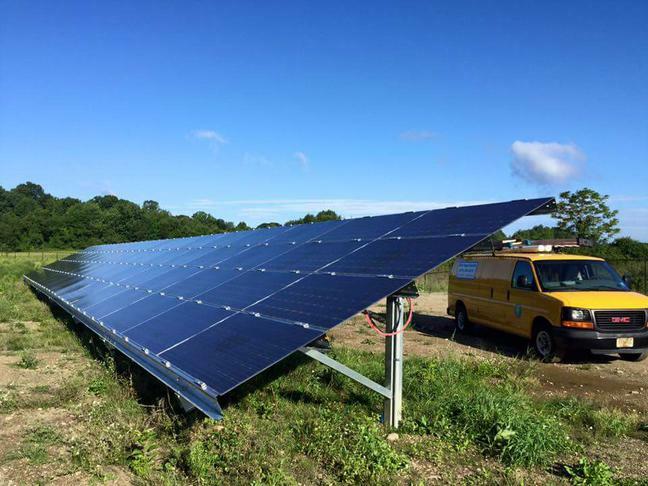 We are licensed in Orange (Lic.#456) and Sullivan (Lic #M-413) County in NY. 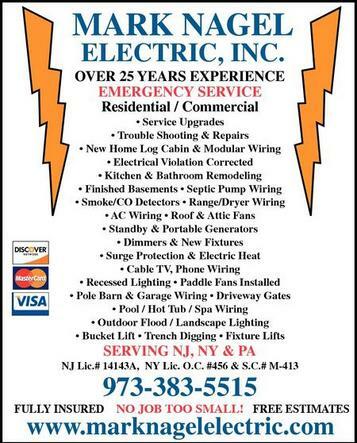 and serve Pike County in PA. We specialize in residential wiring. (new and old) Also, commercial. We are fully licensed and insured. We accept VISA, MASTERCARD, DISCOVER, CHECKS AND CASH. Mark Nagel Electric Co. Inc.